Motoring magazine. James May is taken outside his comfort zone - World Rallycross racing in a 600-horsepower hatchback. 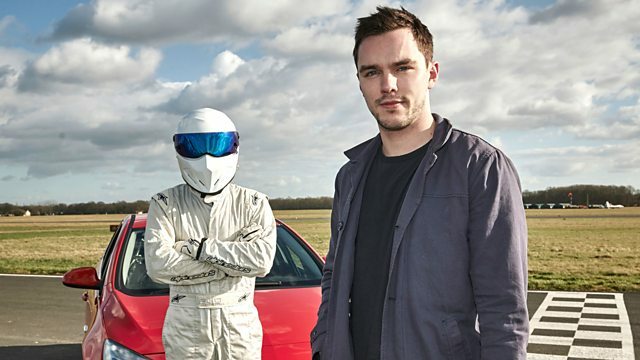 Nicholas Hoult tries his hand in the Reasonably Priced Car. In this episode, James May is taken far outside his comfort zone as he straps into an insanely fast, highly-tuned, 600-horsepower hatchback and is thrown into the lion's den of World Rallycross racing. As well as trying to fend off a pack of top-flight professional drivers, May's life is made harder by his support crew, the distinctly unsupportive Jeremy Clarkson and Richard Hammond.